Vogue Living in the Palm of your Hand! We’ve all been there. Struggling to meet and greet at a function while delicately balancing an entrée in one hand, valiantly trying to avoid dropping the food and making a fool of yourself. Well, a cracker of a design by two Canberra talents is the solution. 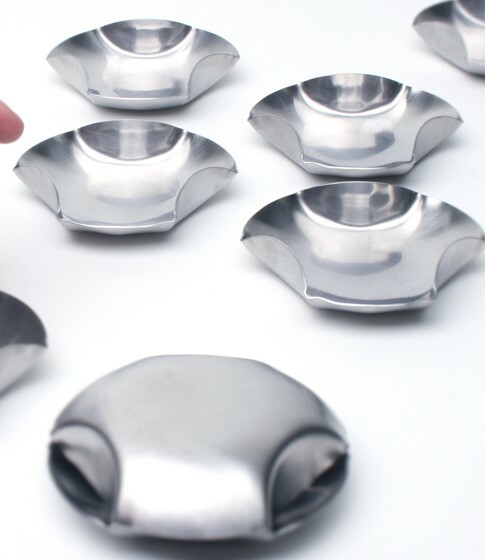 ‘Company vessels’ are pressure-moulded stainless steel vessels, curved and scaled to fit in the palm of your hand. 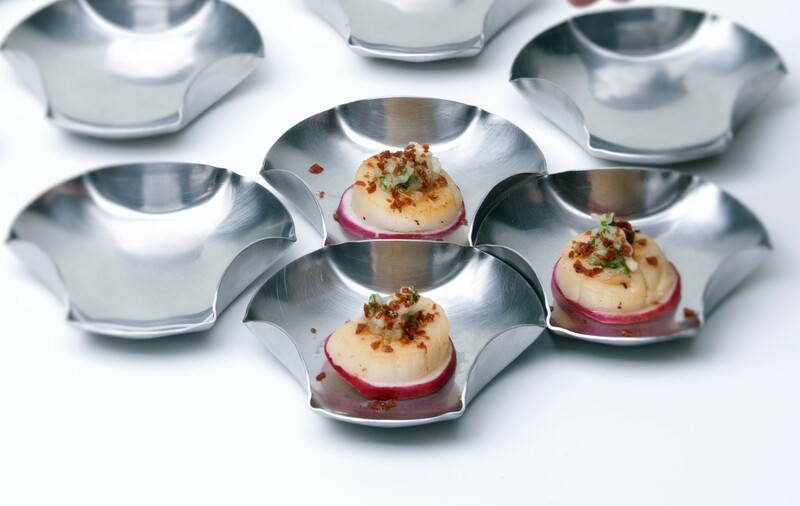 They’re perfect for serving entrées and are the brainchild of two designers making the capital proud for being named finalists in the prestigious Vogue Living Alessi design prize (Emerging Designer). TOMKINS + PEOPLES are in the running for the collaborative project between designer-maker Nellie Peoples and industrial designer Sam Tomkins. ‘Company vessels’ reflect the design team’s passion to make beautiful, functional objects that play a role in bringing people together, including when sharing food. 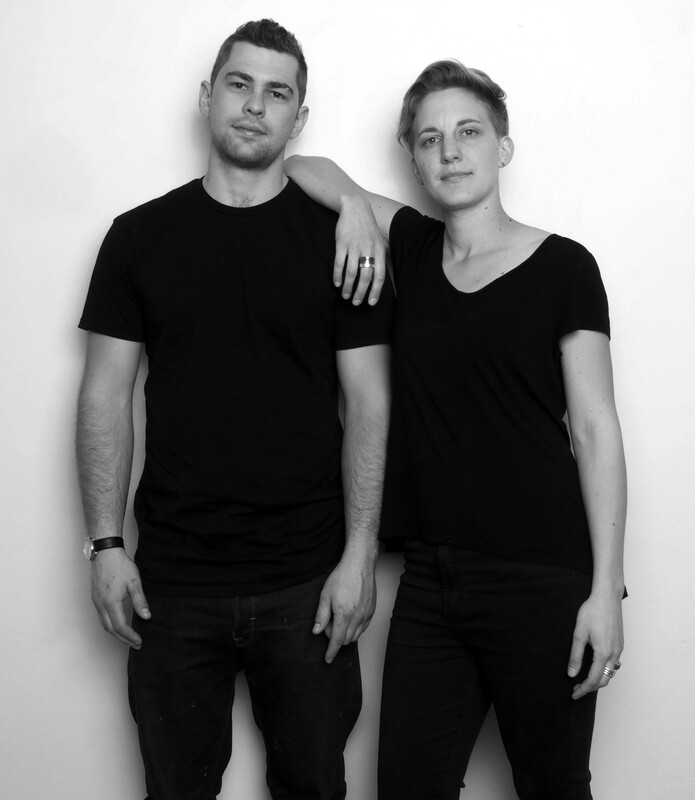 The ‘Company vessels’ project was supported by the $2,500 prize awarded to Nellie and Sam at last year’s DESIGN Canberra Festival—Design + Craft Award for their Fusion: the art of eating vessels. The finished products can be bought at Agency in Braddon (Craft ACT’s retail shop). Nellie earned an architecture degree at University of Canberra (UC) before studying gold and silver-smithing at ANU School of Art. She now produces innovative jewellery and metal objects. Sam completed his Bachelor of Industrial Design at UC and now teaches there. His designs focus on improving the user experience. The pair met in a Design Technology class at Daramalan College. They’re a cohesive team and create intelligent objects that celebrate each of their disciplines and skills, and their ability to communicate and collaborate has taken them to new places over many years. TOMKINS + PEOPLES will participate in the 2015 DESIGN Canberra Festival, this time with Mathew Woolfe, a cook and landscape designer. TOMKINS + PEOPLES + WOOLFE will host a pop-up shop bringing together design and degustation. They’ll explore why people gather around food. Going beyond the collection and display of objects, the pop-up explores how food and the experience of sharing a meal is a context for great design. It’s all part of DESIGN Canberra’s aim to celebrate and promote the capital’s vibrant and diverse design community, including by putting the community in direct touch with the designers and artists who play such an important role in our everyday lives. Although Nellie is now living in Queensland, the pair continue to work together. If they win the Vogue Living Alessi design prize, they’ll be able to present their design to Alessi, a housewares and kitchen utensil company in Italy, which will evaluate them for possible inclusion and production in its highly regarded collections. DESIGN Canberra kicks off on 21 November and will roll out nine days of exciting events and activities. More than 70 activities are included in the festival program, including many that are free. This entry was posted in LFW Your Canberra and tagged Agency, Alessi, Craft ACT Design and Craft Centre, DESIGN Canberra Festival, Tomkins + Peoples, Vogue Living Alessi Design Prize on October 27, 2015 by gracienumber1.